I need new cycling shoes. It’s always a problem for me as my feet are wider than normal. 42 is a good length but they are too tight around the foot. While 44 is a good fit around the foot but are too long. 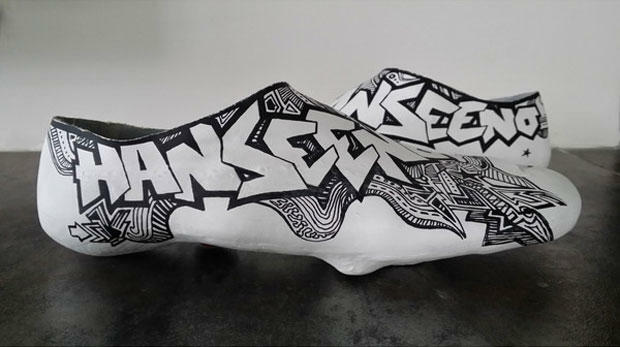 Aussie cyclist Adam Hansen makes his own shoes. At €2000, Adam Hansen shoes are way above my budget. His company is called HANSEENO which was his nickname while he was riding with HighRoad. Hansen lives in the Czech Republic and all his shoes and other products which includes a range of Tee-Shirts are manufactured there. It’ll be interesting to see how this develops as a brand. Adam Hansen is from Queensland and has been a Pro rider since 2007. He current rides for Lotto Belisol. In 2012 he complete all three Grand Tours – the Giro d’Italia, the Tour de France and the Vuelta a España. He was the only rider to accomplish that feat in 2012 and only the 32nd in cycling history. Hansen completed all three grand tours again in 2013 and won stage 7 of the Giro d’Italia. In 2008 he won the Australian Time Trial National Championships and in 2014 won the mountains classification at Tour Down Under.